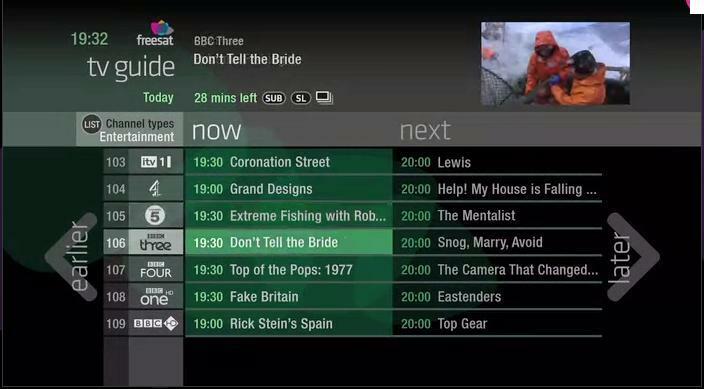 Channel 5's catch up TV service Demand 5 has this morning joined Freesat's < free time > service. The addition of the service means that catch up TV from all of UK public service broadcasters is now available on < free time > receivers. < free time > allows viewers to scroll back through the TV guide to catch up on recent shows, and also includes YouTube alongside all of the regular Freesat chanels. In related news, the BBC confirmed today that all content from Welsh broadcaster S4C will be included on the iPlayer from autumn next year. Freesat not got the capacity issues that Freeview has with a severe limited platform but they do need to have an continued review! Perhaps now is also time to look into bringing to Freesat the Connected Red Button Portals (or ensure Freesat is matching the content what they offer) that now establishing on Freeview to Freesat's Freetime service! In time Connected TV Portals could also have HD capable streams! (subject to broadband speed). However using Connected TV for +1 would be better use for spectrum as well for catch up services the Instant upload of programmes when they are completed or perhaps like BBC iPlayer Restart service. They also need to workout proper catch up licensing evident in iPlayer case such as with BBC Three Family Guy and generally movies! It be nice to have "pause" and "restart"!